2. The Kinetic item K48032 Mirage 2000 BG documentation. 3. The Kinetic item K48042 Mirage 2000 C documentation. What is the right grey? The post at the begining of this article say: H307 (25 drops) + H1 (25 drops) + H74 (5 drops). I think that the dilution with the H1 is not good beacause seem's to be a H308 and we see that is not the good color weight. 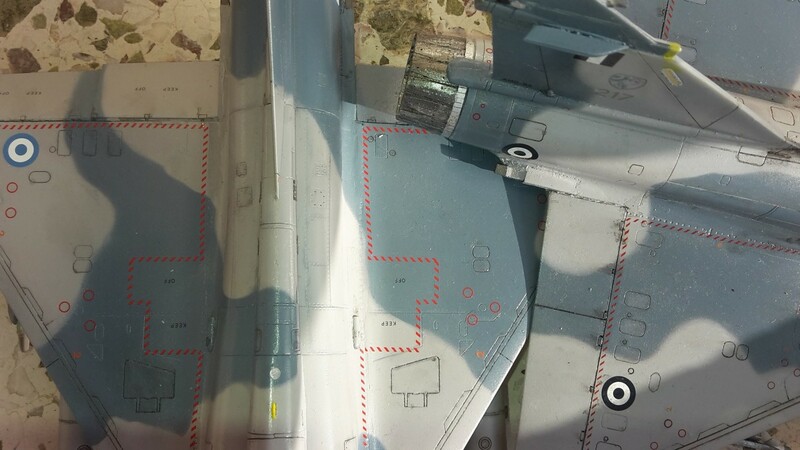 I have build several versions of Mirage 2000 following the documentation references for the model manufacturer. The Heller Mirage 200C documentation give FS 35235 = >H337. The Kinetic item K48032 Mirage 2000 BG documentation give FS 36375 =>H308. The Kinetic item K48042 Mirage 2000 C documentation give FS 36231 =>H317. After reading a lot of forum I see that modelers use often the H308. 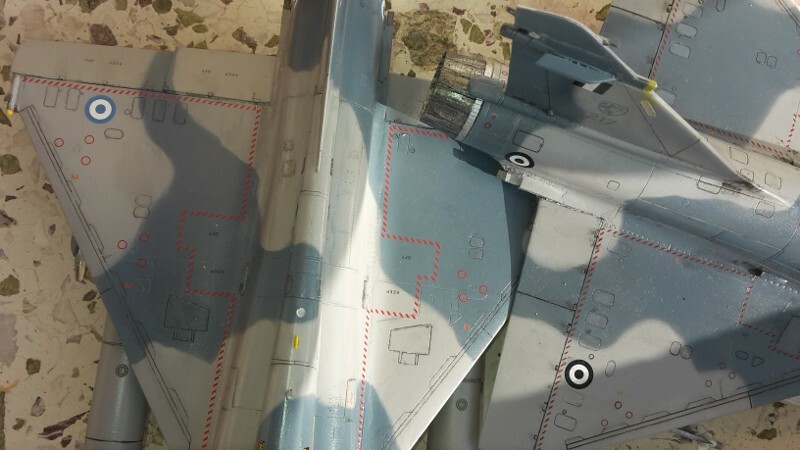 I paint a plastic with H308 und I go to the Tanagra Airport to see with a real Mirage!! The Humbrol H308 is not the right color. Must be darker. I think that the H337 is very blue. I paint a model with FS 36320 =>H307 Gunze that is less gray that the H317. Whats is th right blue? The Kinetic item K48032 Mirage 2000 BG documentation give H42 + H308. Attention: The documentation print H42 (intermediate blue)! 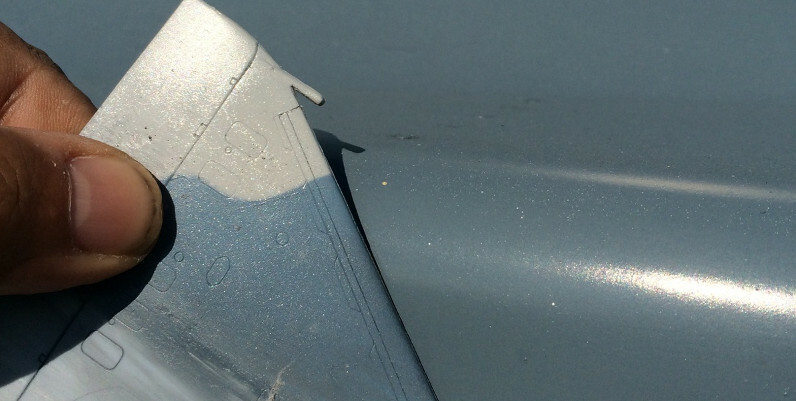 But the H42 is Bleu Gray and the intermediaite bleu is H56. The Kinetic item K48042 Mirage 2000 C documentation give Vallejo Model Color 900. 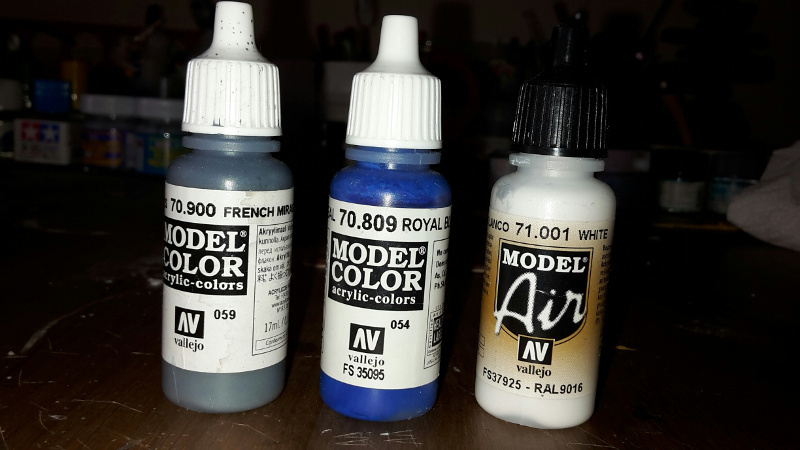 All the modelers use for the Mirage intermediaite bleu H56 or the Mirage Blue for Valejo that sem's to be the same. Go to test with the special for Mirage color "Mirage Blue for Valejo". Something wrong with the Mirage Blue for Valejo!!! The 2 models are wrong!! We have to take the gray from the right plane and the bleu for the left. I promise you to assembly a new Greek Mirage with the right colors now. Thanks for your patiente. For all documentations the nose is FS 36320 =>H307. But I use this color for the aircraft gray.